The essential advice is to go slow when you grab a glass of wine to drink.Start with a visual aspect: color, its shade and intensity, still or bubbly?, hazy or clear? The most important sensor, however is our nose. The experienced wine tasters are able to identify the main characteristics of a wine blindly, just by smelling it. So smell it, swirl it and smell it again before making a sip. It is often easier to feel more detailed aromas with your eyes closed. This is when as much as possible information will come from your nasal sensors. The wine aromas generally can be classified as: fruity (citrus, tropical, green, stone fruits, red fruits), floral, oaky, spicy, earthy, vegetable and others. The objective of the first smell is to identify those groups presented in your drink. If you cannot name them, make a note of whatever you feel when sniffing this wine. Any association that your mind brings, does not matter how strange it might sound. If your first impression is nothing but an alcohol smell, write it down too. Sip it when you feel ready and describe the group of tastes first: sweet, sour, bitter or salty. It can be a mix of flavours, but one group will dominate. Define it. The next step is to go deeper and interpret the taste you feel to esculent things you had tried or smelled before. 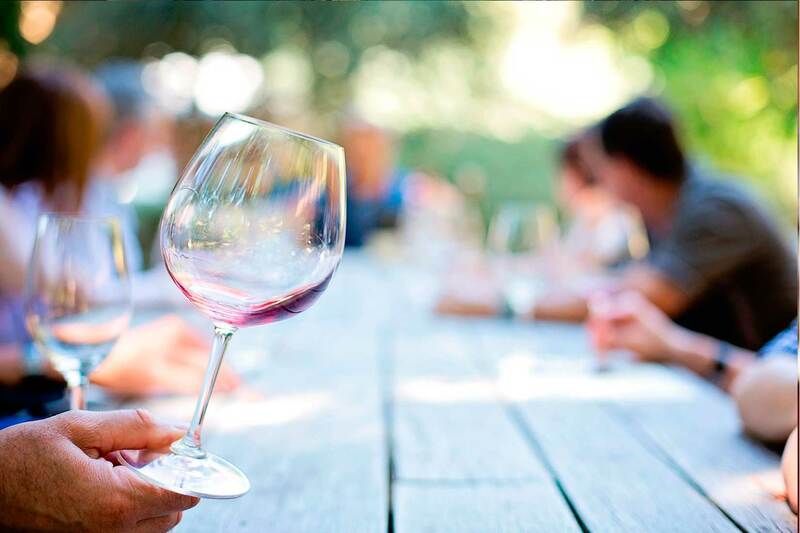 A glass of good wine will contain dozens of different aroma and flavour compounds depending on the grape type, region, production style and other factors. Equally, the same grape variety will smell and taste different from year to year. Expect some black fruits and dark berries in red wines made of Syrah, Tempranillo, Cabernet Sauvignon, Malbec. Red fruits and red berries are more likely to be found in Pinot Noir, Grenache, Sangiovese, Merlot. Stone fruits like peach, apricot, nectarine are to be found in Sauvignon Blanc, Chenin Blanc, Gewürztraminer. Citrus and green fruits usually accompany Chardonnay and Pinot Grigio. And the last sensor involved is a feel, in other words, a sensation that a liquid brings up when “touching” your tasting buds. You will sense: temperature (cold/warm), approximate degree of alcohol (heat), astringency (contributed by tannins). Consistency or structure of the wine is another good indicator of its quality. Mousse and creamy, thin and light, well-structured and balanced, full-bodied or too aggressive – all these characteristics will help you to estimate a wine overall. It might look complicated and confusing at starters, but after a couple of dozens good wines tried (tasting them slowly), after some wine degustations visited, you will not even notice becoming a wine geek! Sometimes you fell in love with a place at first sight. In case of Madeira this happened after the first breath. Right on the way to the airport parking we felt that special sweet air, full of herbal and flower aromas. Another point scored by the island of woods on the arrival night was well maintained and free speed roads/tunnels. Small roads are all lighten up by night that does not happen often let’s say in some Scandinavian countries or Italy. The first impression by day: it is a paradise for all flower and garden lovers. And if you are not of that kind, you will probably become one after seeing all that endless blooming in every corner. Mind that the sailors used to bring various plants from all over the world and they all were perfectly adapted to this fertile volcanic soil of the sub-tropical island. However, it is not only about the climate: hundreds years ago the water channels called levadas were built throughout the island to irrigate the soil, distributing water from the Northern part to the dryer South. Since then, local islanders have been cherishing and taking care of the natural gifts. Wine growing and wine making style is another unique point of sale, as some marketers would say. 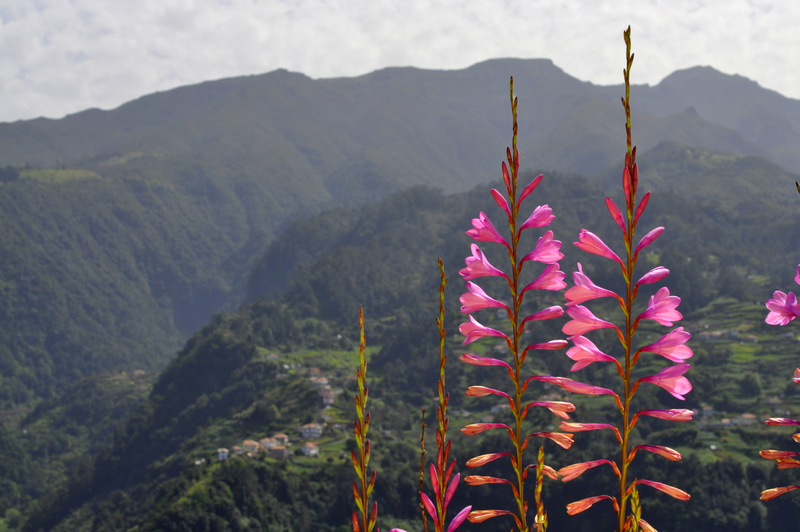 The Madeira wine is indeed like no other in the world. Even if you are not a big fan of fortified wines, it is worth a try. 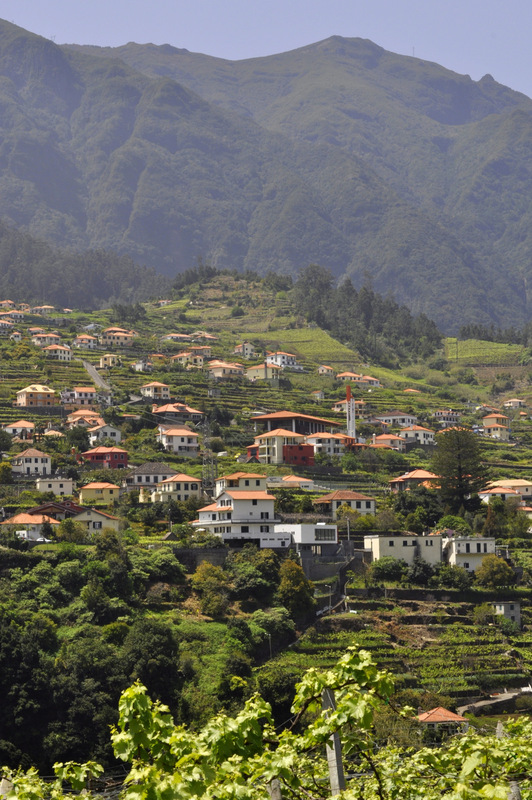 The easiest way to discover it around Funchal is to take the wine tour with tasting. 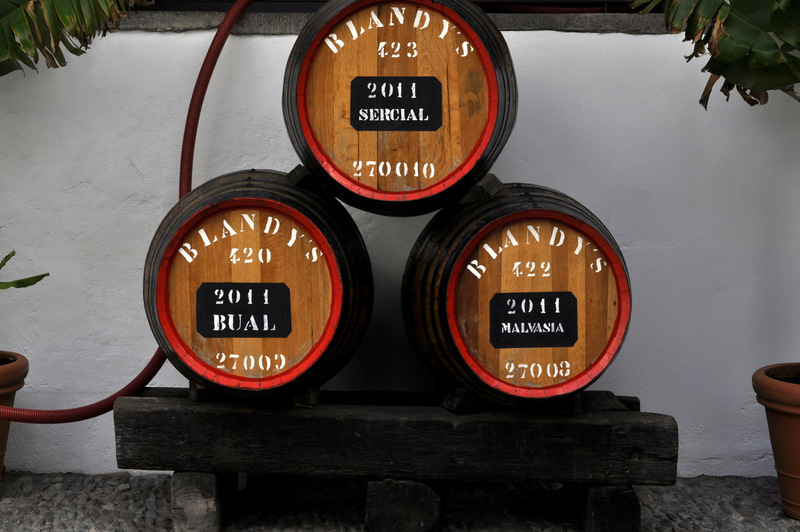 In Blandy’s, for instance, they propose 45-minutes tour for 6 euros that includes the 2 wines’ degustation. Obviously, quite modest wines are normally included. Like 5 years old dry Cercial and vintage 2008 of Malmsey. I would recommend to use an opportunity and try wines by glass from the degustation menu afterwards. For 15 euros a glass you can get a rare Terrantez of the 1976 vintage (which means not only all the grapes come from the same year harvest, but the vintage itself tends to be exceptional). Head to Ponta de Sao Lourenzo in the afternoon when the sun position allows you to appreciate all those cliffs’ patterns. Take a route from Pico Areiro to Pico Ruivo in the morning, then normally less clouds would cover the breathtaking views. 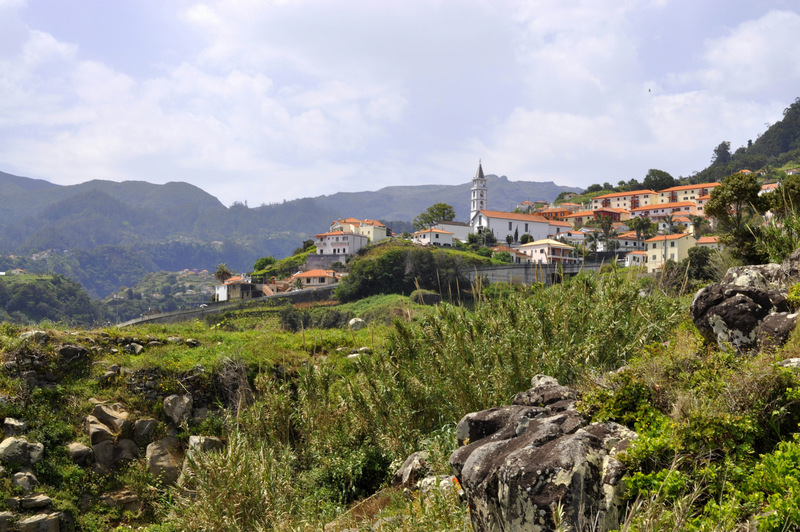 For an easily accessible by car, short and relaxable path drive to Eira do Serrado (1094m) where you will have spectacular views of the village Curral das Freiras. Route to Fajã dos Padres, the hidden beach only reachable by a cable car (round trip costs 10 euros). A peaceful and cozy setting where vegetables and fruits from the property’s garden are served together with the traditional Espada fish (both banana or mango toppings are delicious). NB: The prices are surprisingly low for the quality! TIP 1: Do not miss the passion fruit pudding. TIP 2: The cable car is only open until 6 p.m., so unless you plan to rent a room there, this is an option for a relaxing lunch. For a superb Espetada head to Santo Antonio restaurant near famous Camara de Lobos village. Ask for Espetada em Pau de Loureiro: the grilled meat will be made and served on the laurel stick with some local spices. TIP: A portion of 12 euro is enough to share for 2 people, especially if you order traditional appetizers or side dishes to pair with. We have tasted the traditional and unique pastry called Queijada da Madeira at least in 10 different places. (For those who know it reminds a Soviet-Era pastry “sochniki” but with more delicate dough and overall better). The best choice is no doubt a small family bakery Delícias da Bia in Santana village, where you can enjoy a passion fruit queijada. TIP: buy extra ones to take away, they last well for several days. Must try is a local alcoholic drink Poncha, preferably home made, the traditional one is with a lemon juice, but we loved the one with a fresh passion fruit. Bolo de Mel is a flavourful souvenir that can be kept for several months. Bolo do caco: local popular type of bread with garlic: do not reject it for an appetiser. 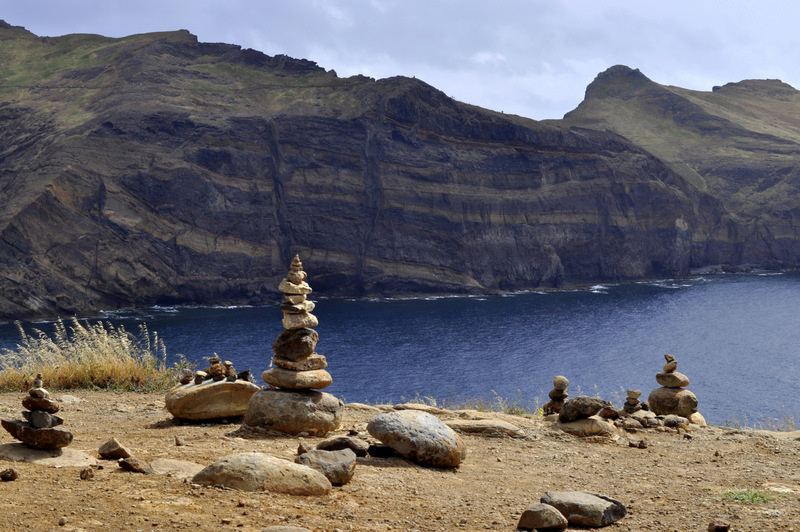 Undoubtedly, Madeira has a card up its sleeve even for experienced travellers and advanced tourists. Discover yours!